Bar lets you interact with your information through your periphery, creating a completely new experience with our technology through just touch and light. 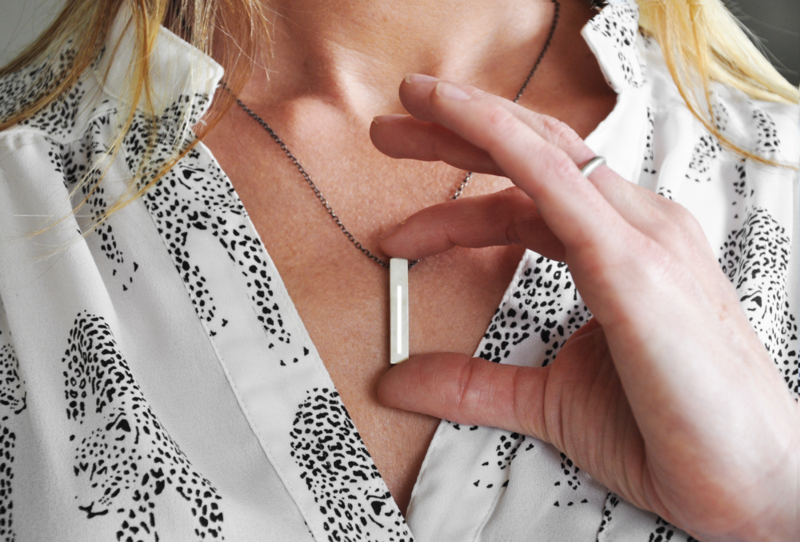 The necklace is a simple and beautiful display that communicates information from your phone in a way that is both functional and expressive. It connects to your phone wirelessly and provides you with important information based on the apps that you already use. Know when you're near someone you care about or that you're getting closer to your destination, different touch and light patterns indicate different information, level of importance, and even help you with directions. Research has indicated that the average person can recognize up to 100 different touch patterns. Bar creates an entirely new communication language through touch and it lets you create and customize your own touch patterns that you can use to communicate with important people invisibly. Bar is an extension of your phone that subtly lets you know when you have important information (such as letting you know that someone you care about is nearby or that you're getting closer to your destination) without ever having to take your phone out of your pocket. The Bar necklace is designed to fit into your lifestyle, not the other way around. Wear it all day, everyday. The illuminated brushed steel is a beautiful object that you wear and that becomes an expression of you.